Located in the cleanest green space in Gangnam, Seoul, Heonin Village is a future residential complex for CEOs with a new sense, created based on the analyses of Korean VVIP lifestyles and the trends of socio-cultural phenomena. 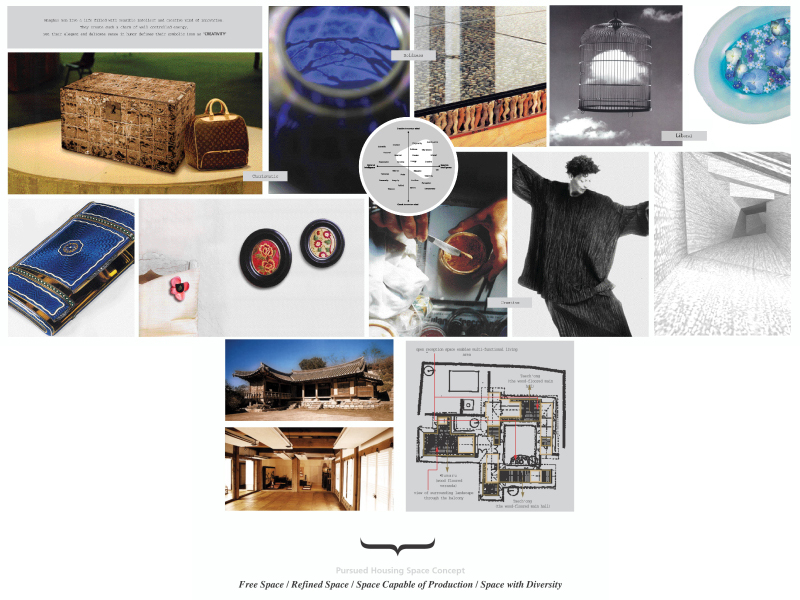 Planning Korea planed a unique residential complex blended with the identification of Korean culture to communication with nature and meeting the desires of culture and art. 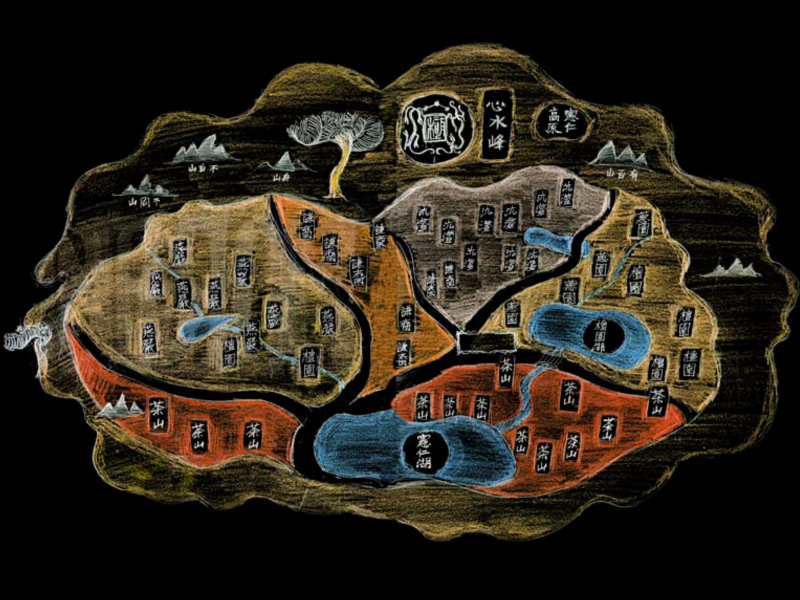 With the Great King Jungjo, a creative innovator who led the Renaissance of the Chosun Dynasty with innovative technology and sensitive reforms in the 18th century, as a concept motif, we depicted the village he might have dreamed of. 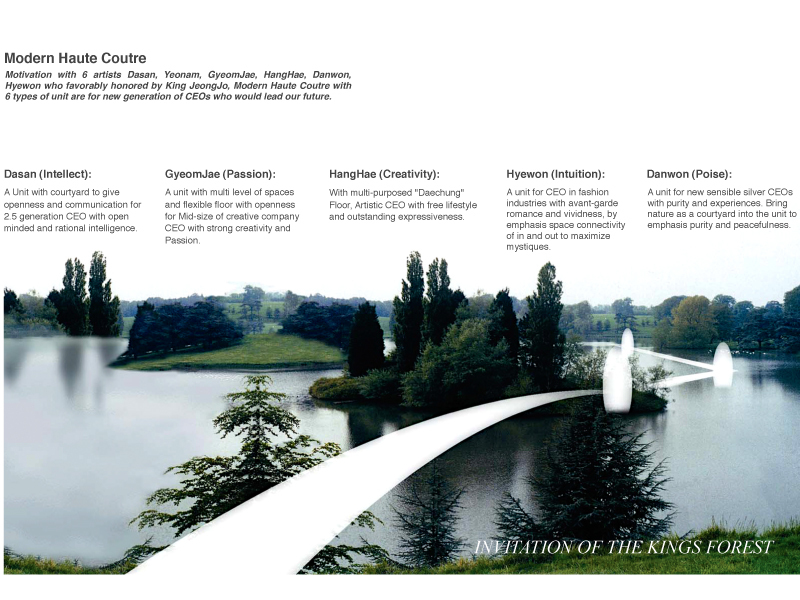 While preserving the natural topography, the layout was planned in consideration of the landscape and the winding road, with a water-friendly green space secured and a mysterious mood created all around the complex using a stone bridge for people to reach the Kingʼs forest.